Numerous Ukrainians have been disappointed with Poroshenko's presidency. Atmosphere of scandal in Kiev. 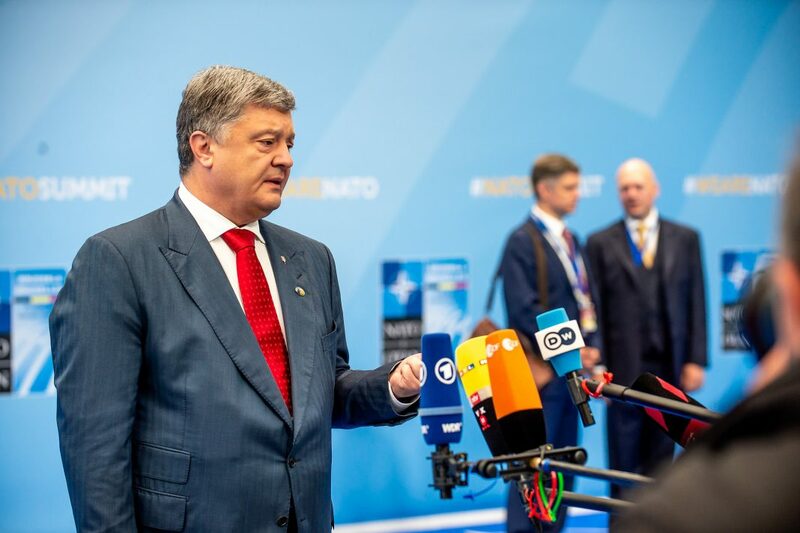 Ukrainian President Petro Poroshenko, who runs for re-election on March 31, experienced harsh criticism on Tuesday after a partner of him was accused of smuggling military parts from Russia. As reported by AFP, on Monday, a Kiev-based investigative news website, Bihus.info, published a report claiming that individuals near Poroshenko had carried parts for military hardware from Russia. The investigation asserted that Poroshenko’s partner Oleg Gladkovsky, who is first deputy secretary of the National Security and Defence Council, and his son have been associated with the plan and enriched themselves by pitching the pirated parts to state companies at very high prices. Allegations of ties with Russia are incredibly delicate in Ukraine which has fought against Moscow-backed separatists since 2014, in a war that has asserted nearly 13,000 lives. In addition, according to the investigation the state-run defence company Ukroboronprom and its general director Pavlo Bukin were also involved in the scandal. Poroshenko himself was not associated with the plan but the website asserted he had chosen to discretely protect Gladkovsky. The state defence company accused the journalists of manipulating information and of using data from criminal probes that had been opened in 2015-2016. There was no response from Poroshenko however his spokesman Svyatoslav Tsegolko said the President “had tasked law enforcement agencies with conducting an ‘urgent probe’ into the matter”. “I categorically reject all allegations made in the so-called investigation,” Gladkovsky, who temporarily stepped down from the council, said in a statement. Numerous Ukrainians have been disappointed with Poroshenko’s presidency. According to political analysts the Gladkovsky case should affect seriously his bid to win a second term in office. According to poll published by the Kiev International Institute of Sociology on Monday, the comedian and actor Volodymyr Zelensky, comes first with more than 26% percent, while President Poroshenko is second with 18% and Yulia Tymoshenko, a former Prime Minister comes third with more than 13 percent. Tymoshenko accused Poroshenko of treason saying that “essentially the President worked on the side of the aggressor [Russia]”.